When the snow is good, and the sun is out, you better use your Sick Day. The Line Sick Day 95 returns again this season with a totally rad graphic update. 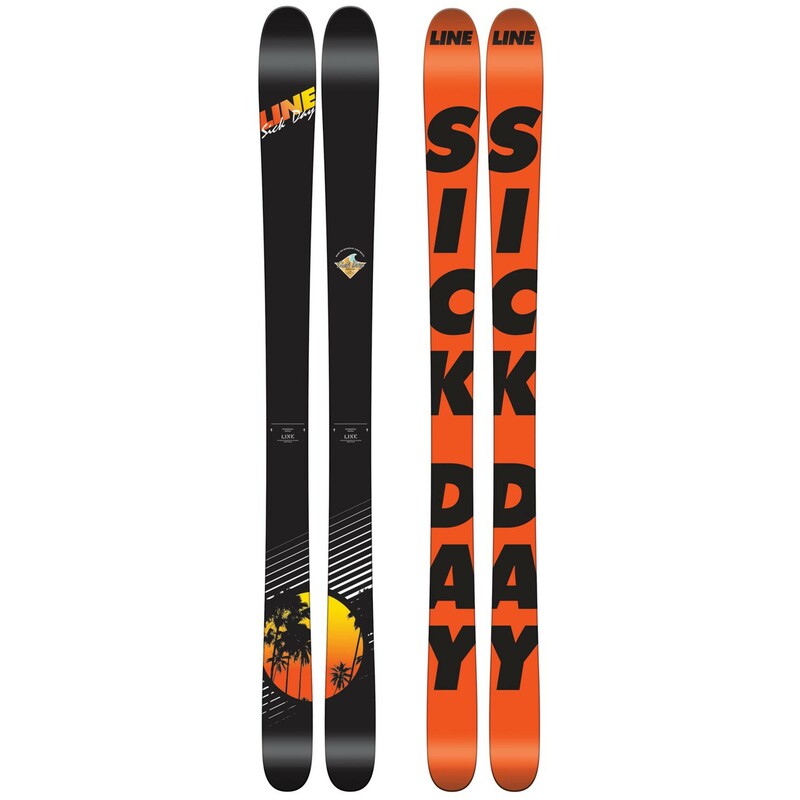 A Directional Flex and 5-Cut Sidecut makes the Sick Day 95 a highly versatile ski for skiers that want to fly down the groomers, pound through the bumps, and dive off trail from time to time. 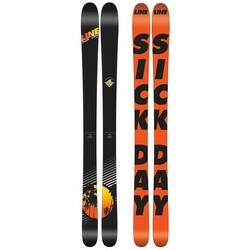 Line's Maple Lite Wood Core utilizes soft maple underfoot and lightweight aspen in the tips and tails to deliver a ski that is easy to turn, stable at high speeds, and responsive anywhere on the mountain. 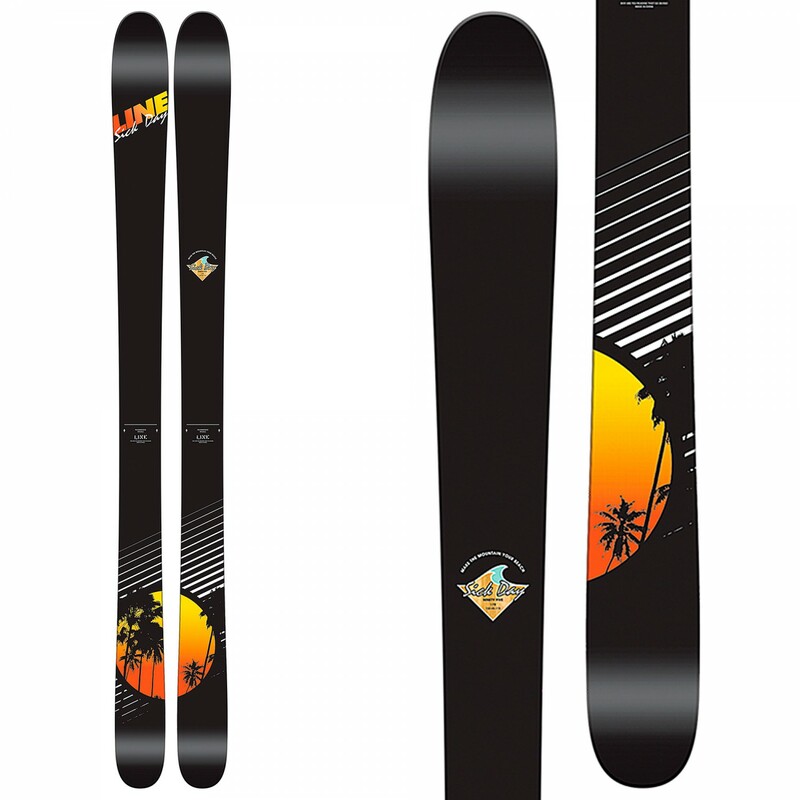 The 95mm waist is a great combination of agility and floatation that makes one very well rounded ski. When you are supposed to be at work, but the mountain is calling you it is time for you to use the Line Sick Day 95, phone it in today!